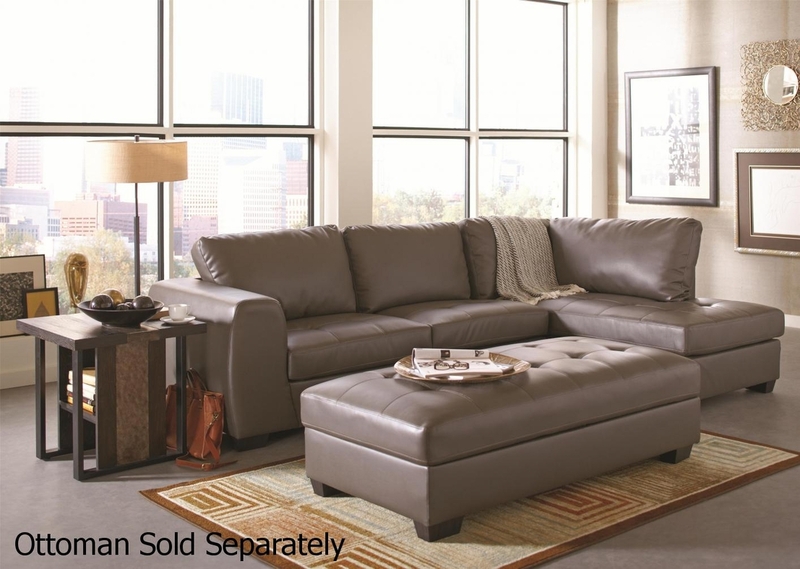 This small sectional sofa features a casual-contemporary style that is fresh and updated. A three seat sectional, this piece is perfect for family rooms and living room as well as many apartments and lofts. The design is casual yet contemporary with wooden legs and lightly tufted seat cushions. The overstuffed cushions feature a high polyester fiber fill in the back cushions for a sink into comfort. Use this piece in your home to create a decorative accent that is also practical. This piece is complete with a chaise on the left side that will allow you to sprawl out.